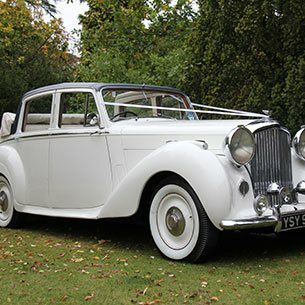 We are proud to present one of the UK’s leading selections of beautiful & prestigious wedding vehicles all viewable on one website and ranging from modern day luxury through to the classics of the 50’s & 60’s and way back to the age of vintage motoring elegance of the roaring twenties. 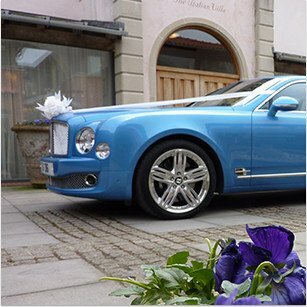 We will be delighted to arrange a personal private viewing of any of our superb wedding cars. 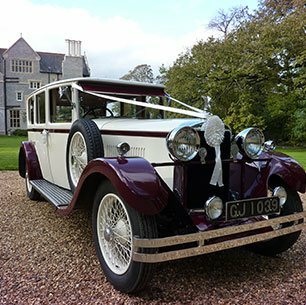 Established in 1996 we have gained a wealth of experience and professionalism and with well over 12,000 weddings successfully completed are now recommended by many leading wedding venues with our legendary service recognised by many, including the Aristocracy. Our vehicles have also starred in major film and television roles and you may well recognise many of them. 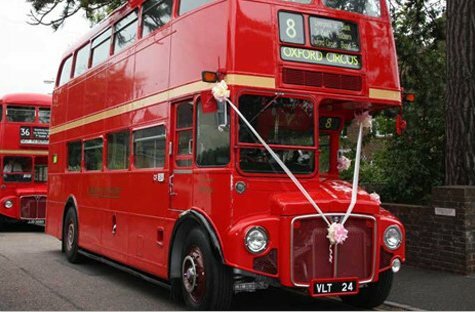 The cars shown on our website are the actual vehicles provided for your special day and we will be happy to arrange a private appointment for you to view any vehicle. All cars are chauffeur driven and are dressed with traditional ribbons in the colour of your choice. When you book your transport with Premier Carriage you will be dealing with a well-known, respected and long established company offering flexibility both of itineraries and payments and should you need to, a simple cancellation policy. With our ‘Best Rates Guarantee’ we do not believe you will find lower prices for the same cars elsewhere, in this unlikely event we will aim to match or beat the price, we can’t be fairer than that !